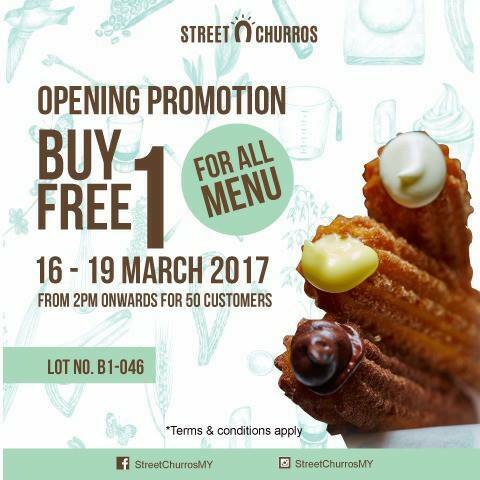 BUY 1 FREE 1 opening promotion in MYTOWN SHOPPING CENTRE from 16th to 19th of March 2017 for the 1st 50 customers at 2pm onwards. T&C apply. Please come by and enjoy our delicious treats!